Yes! We are this band! Many warm and siloquious greetings to you reader. We are hoping that you are well and able to learn more about us through the nice information we provide. The band we are is Welaware. This is the name we have given it because it is a very good name. Do you like it too? Happy. Our rock and roll is pleasing to many people in the audience who like the sound we are making. Sound is very believable and makes thoughts for people who hear the words. We number three and make much good music with our guitar, drumming, and bassing. Would this be good to know more? Nate Houge €“ Writing and singing and playing the guitar are why the people love him. He is not very coordinated, but this does not worry him he has a happy family. This is the reason for songs that create peace in the world and joy. Welaware. When Nader is not president he has sadness. Justin Rimbo €“ The bass is for his hands much of the time. Other times his hands play video games for the big TV that has happened in his house. Welaware. Justin is home in many bands. So talented we are happy for Justin. Micah Taylor €“ Dear Jesus, thank you for Micah. Amen. God is very happy for Micah and we are all surprised when he cut off 32 inches of hair on his birthday one year recently this last one. This his own hair. You are not God but you are happy because Micah is the drummer that Welaware enjoys the most. You are now so curious as how we are the experienced rock and roll musicers. Yes you know it is that Welaware is good new band, but good new band does not impress with experience. 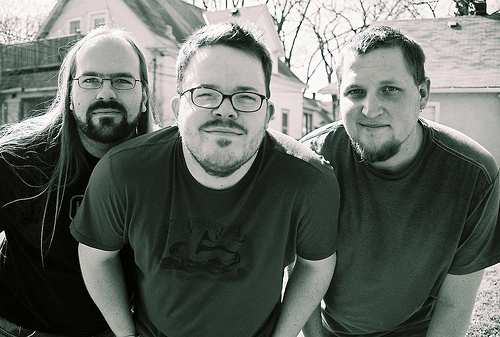 The three that are Welaware have played many places before Welaware in many other bands. They play music when they go to: The Fine Line or Kitty Kat Club or places of learning like U of M Morris, Luther College in IA and many places with coffee like Java Joes in IA and Eddie€™s Attic in GA and one million in between because many songwriters perform many purveyors of coffee. We are the band Welaware and you may be booking us now for our good band. In closing we thank you hard worker and fan of our music.